It is possible to get a credit card from any account that allows cash advances, but doing so is a costly proposition. That's because terms and conditions of cash advances are more expensive than using your credit card account to make purchases. Be sure you fully understand the extent of the fees you will pay if you choose to seek cash in this way. There are a few ways you can use a credit card to get cash, assuming you have an account that allows this type of transaction. Each option is treated as a cash advance, as that is what it is. Credit card companies sometimes provide cardholders with 'convenience checks,' which Bankrate.com notes are sometimes referred to as 'credit card checks.' These checks are sent to account holders via mail periodically, sometimes as statement stuffers and sometimes as separate mailings. They look very similar to bank account checks, and you can use them in the same way. To get cash using one, you would simply write a check to yourself and cash it at your bank or a check cashing company. If your credit card allows cash advances and you have a personal identification number (PIN), you can withdraw cash from an ATM. If you go this route, you will be responsible for paying any bank ATM fees as well as the credit card charges associated with cash advance transactions. According to ValuePenguin, "Some credit cards allow you to perform a cash advance by speaking directly with your card's bank teller." This option would only be available to you if your credit card company allows this option and the card issuer has a bank in the area where you live or are in need of a cash advance. Since a number of credit card companies have bricks and mortar bank branches, such as Bank of America and Capital One, this option is viable for many cardholders. Higher interest rate: The interest rate on cash advances is typically higher than that for purchases. Most credit cards have steep interest rates for purchases, and those rates are even more when you use your card to obtain cash. According to CreditCards.com, "The average cash advance interest rate is 23.68 percent, nearly 8 percentage points higher than the national average rate charged on consumer credit cards." 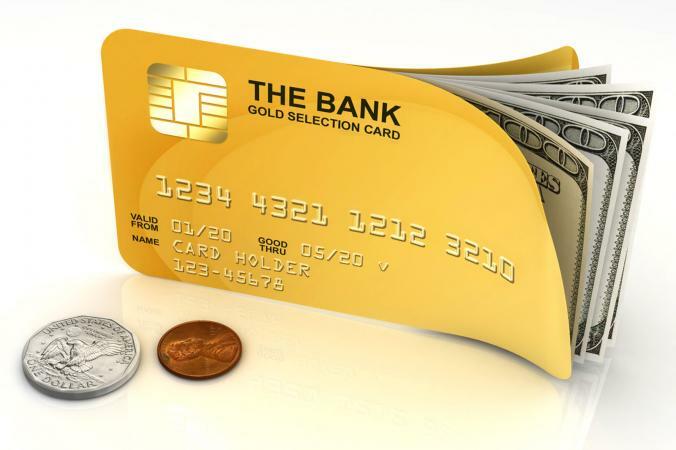 Origination fee: Credit card companies charge a sizeable origination fee for cash advances. According to CreditCardInsider, the fee for a cash advance is usually the greater of a set percentage or dollar amount. According to NerdWallet, these fees can range from the greater of a $5 to $10 fee or 3 to 5 percent of the transaction. This charge will hit your balance right away, and interest will accrue on it along with the rest of your balance. No grace period: When using a credit card for purchases, there is a grace period, which is a timeframe in which interest won't be charged immediately after a purchase is made. That is not the case with cash advances. There is no grace period for this kind of transaction, so interest will begin accruing from the moment of the transaction. These fees can add up quickly, causing you to pay quite a premium in order to be able to access cash. Review your cardholder agreement to see the exact terms and conditions that apply to your account. Using a credit card to obtain cash is a costly proposition. Before using a credit card to access cash, stop and think about whether it is worth the initial fees as well as the potential increase in credit card debt. While the answer might be 'yes' in an emergency situation, carefully consider if there is another option. If nothing else, you'd be better off buying whatever you need using your credit card for the purchase transaction than getting a cash advance.